Another way to find a Face Artist is to select a particular Country. Please scroll down to the list of Countries lower down in this page. Are you a Face Artist? Our website aims to build a global resource for the face art world. 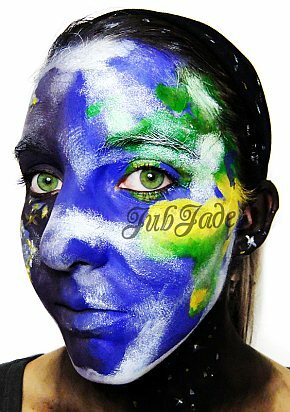 One of our goals is to build a global "face artist directory". Submission to the directory is Free and this is possible since instead of charging for the listing we have added Google adds to the submissions. This will have an advantage to the face artist of no set-up fees. 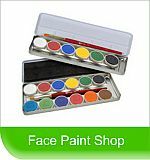 People looking for an artist, should find most face and body painters listed. We plan to give preference to the accredited artist, so as to have a quality listing. People will also be able to leave comments and rate artists, so a kind of peer and customer review should emerge in time. The plan is for the Artists to mention the Country, State/ Province/County and City/Town that they operated from. This will enable us to group the artists by area. This information would be included in the submission text once an artist submits a page. This website is not sponsored by any particular brand or shop so all are welcome to submit a free listing. The more artists that list the more weight the search engines will place on the listing and the more valuable the link from this site will be. Once the directory gets big we will include a search block to enable a visitor to quickly find and artist in their area.